Born in Córdoba (Spain), 1970, I started my academic career at the University of Málaga in 1996, after my MSc degree in Computer Science (1994) and a short (and very very low) position in a real-state developer. I got a pre-doctoral grant by the Spanish government for the time interval [1996,1999], during which I made up my thesis. In the summer of 1998 I did a stay under the supervision of Prof. Ben J. Kuipers in the Computer Science Dpt. of the University of Texas at Austin (US), where I learned a little bit of that dark Middle-Earth dialect that is spoken in the state that you should not mess with (and how to look for shelter from tornados!). I obtained the PhD degree in Computer Science in 2000, an assistant professor position a few months after that, and a tenure as associate professor three years later. 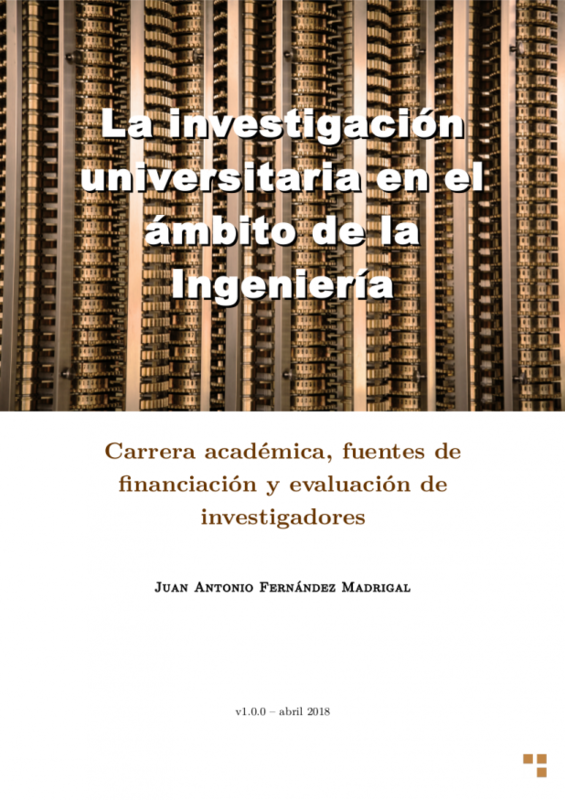 In october 2016 I got a full professor position in the University of Málaga. During these years I have been teaching on Real-Time, Robotics and Control Systems Engineering, developing robotic software, and exploring a number of lines of research mostly related to intelligent robotics (lately resuming my previous Cognitive Robotics work thanks to a stay in the CRNS, UK). I have also perceived the beginning of a monotonic decreasing path towards the most absolute absence of actual knowledge, but in spite of that I have supervised several PhD theses on Robotics, have participated in regional, national and European research projects (which has not alleviated the knowledge problem), and have a bunch of patents. I have at present nearly 80 scientific papers and three international books, and have acted as the principal researcher of a project on networked telerobots. My current (non-linear, time-varying) personal interests include writing (9 sci-fi books and more than 100 short stories published in Spanish), programming, drawing, and building robots, among other one thousand things I expect to begin after my retirement at the age of 90, when I have again some free time.